Get Your Team Together For A Bounce! 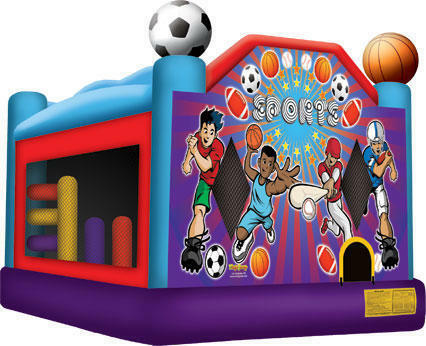 The Sports Combo serves up a five-challenge inflatable combo bounce house of entertainment! A jump area with basketball hoop and obstacles are central attractions, while continuous movers can climb and slide for hours on end. This versatile inflatable jumper combo is ideal for backyard parties, recreational events or festivals.